My brother, Brian and I went to Dunedin Stadium at Grant Field in Dunedin, Florida in 1994, when the New York Yankees came to play the Toronto Blue Jays in a spring training game. While collecting autographs from Yankees players after the game, I spotted Danny in the parking lot walking toward his car. My brother took my card along with his own and ran to Danny hoping to get his autograph. Thankfully, he signed both items for us. 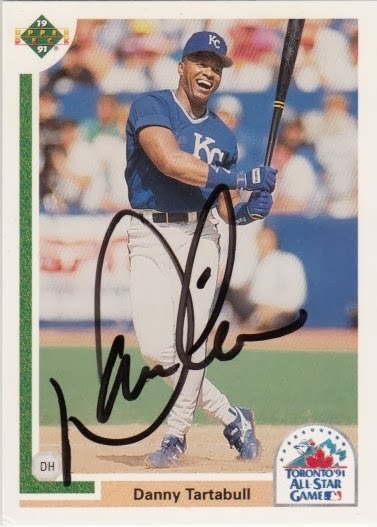 Danny signed a 1991 Upper Deck card #89F.